You think you can cycle well? The only way to find that out is to go cycling in Amsterdam. Why? Because Amsterdam was chosen number 1 Bike city of the world!If you survive your holiday in Amsterdam on the bike, then you know that you are a brilliant cyclist! For those who like to know how to bike or how to survive the life cycling in Amsterdam, read my review and let me know when you are safely at home after visiting Amsterdam! Look for the white lanes and bike symbols painted on the road, so you know you are on the right track. 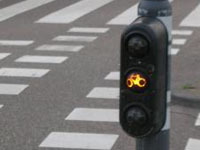 These lights shine red, yellow and green in the shape of a bicycle at most major intersections. Obey them. Trams and other traffic have their own lights that don’t always correspond. When a bike light doesn’t exist, use the traffic lights meant for cars. 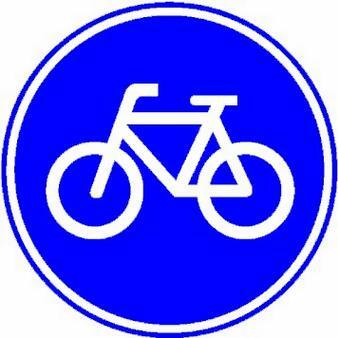 A round sign with a blue background and white bicycle indicates a bike lane or route. 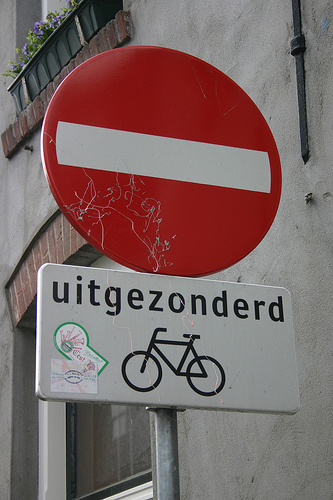 A sign with the word uitgezonderd (“except”) and bike/scooter symbols means that bikers are the exception to the otherwise posted traffic rule. For example, a round, red sign with a white dash means no entry. Bikers are allowed entry if the white, rectangular uitgezonderd sign is also present. [/Icon List]Always give right of way to trams, from any direction. Listen for the distinctive clanging of their bells. [/Icon List]Use hand signals when changing course. Just point in the direction you want to go. Doing this will let motorists and other bikers know to yield or not to pass you on that side. [/Icon List]Never leave a bike unlocked, not even for a minute. Bike theft in Amsterdam is a problem, but it can be avoided. [/Icon List]Try to keep pace with fellow bikers. You may ride two abreast, as long as your pace doesn’t hold up traffic. [/Icon List]Not all Amsterdam streets are meant for cyclists, so “winging it” without a route plan can be inefficient and dangerous.